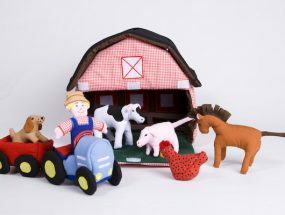 A lovely collection of fabric Playhouses, Playbags, Cloth Books and Rag Dolls. These offer hours of educational fun, are soft and tactile to play with and perfect for travelling - whether in a car of aeroplane, or just out for lunch and need to be amused! A bright and colourful range of fun and attractive educational wall hangings to decorate a nursery wall or have in the playroom to provide interactive daily play. 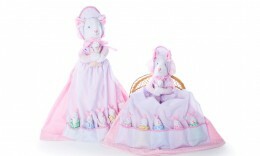 We are renowned for our exquisite range of handmade Baby Quilts. Each one is a work of art and a real keepsake. These have so many uses – when the baby is small you can put them on the floor for them to lie on, a little bigger and they can go in the cot, then onto a bed and of course they make wonderful wall decorations. We are always on the lookout for some fun and quirky things to add to this section that are just that little bit different. 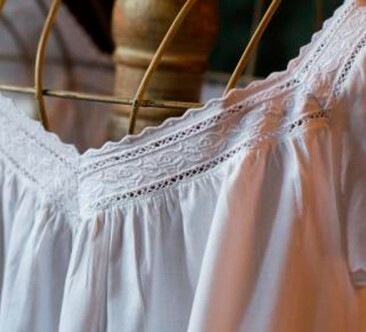 Our lovely range of top quality 100% pure cotton Ladies Nightwear are designed in France and made in the Philippines. 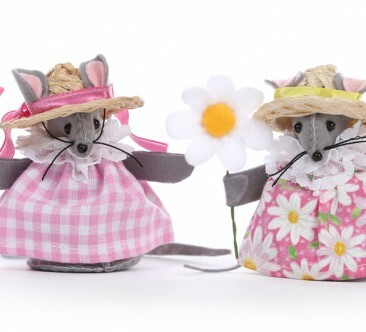 They are beautifully made with exquisite detail. 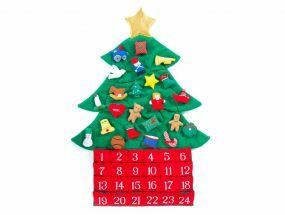 Lovely Christmas stockings, Advent Calendars and of course our quirky range of festive mice that customers have been collecting for years. Welcome to Plaid Tidings and our wonderful range of Children’s fabric gifts, handmade Baby Quilts, educational Wall Hangings, pure cotton Nightwear and much much more. 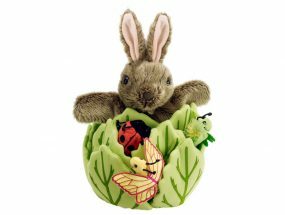 Whether it is an unusual gift for a baby or child, a fabulous decoration for the festive season or if you are just trying to find that little something that is completely different, please take time to browse through our pages of wonderful gifts and accessories. Just about everything we sell is beautifully hand made especially our exquisite range of baby quilts and playmats. Thank you for your personal service and prompt delivery of the ABC Baby Quilt – a present for my first Grandchild and we all love it! Beautiful quality and a real keepsake – I shall certainly be in touch again soon. Spring is almost here which means Easter is around the corner. Our lovely Bunny Pyjama bags make . 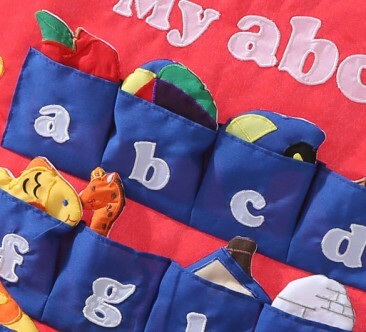 Our range of fabric Playbooks make wonderful toys to take on holiday. Perfect to keep little ones .